The Georgia Institute of Technology campus is in chaos tonight as protesters attack police in response to the shooting death of 21-year-old LGBTQ student Scout Schultz. 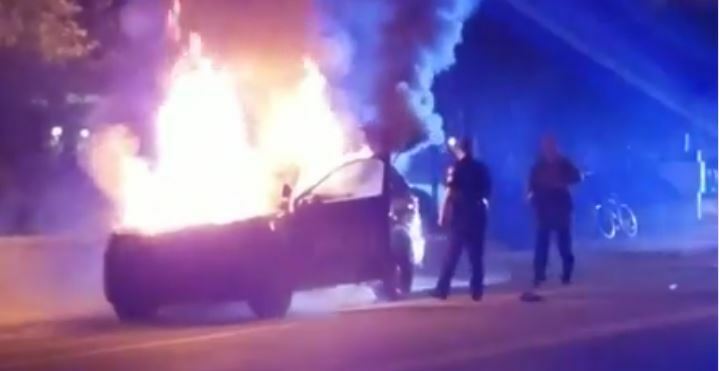 A police car has been torched and several officers have been physically attacked. Schultz was shot and killed Saturday night on campus after police responded to a 911 call reporting a suspicious male on campus with a knife. The student, possibly intoxicated, walked toward police with knife in hand telling police to kill him. After repeated demands to drop the knife, one officer shot a single round. Three suicide notes were found in his dorm. This will be updated as more information and videos become available. Classic “suicide by cop.” Tragic for the officer involved. Revealing of the totalitarian artifacts filth. I am become so sad to know that such incident happens in a institute campus. Thanks for describe such a sad sight.